Foldable phones are pretty much an ultra-niche right now, being very pricey and limited in availability. They actually have yet to launch in proper stores and Huawei and Samsung are only testing the waters to see where they go next. But Gartner has a vision of the future and it involves even more foldables. According to a recent set of figures published by Gartner, it seems that foldable phones are expected to hit 30 million units by 2023. They are also expected to represent 5% of the high-end smartphone market by the same time frame. The same figures also show that PCs will be retired, but not replaced. The PC market is also headed towards a tumble or two. Gartner forecasts a burst of foldables and then a slowdown, that will lead to actual slow adoption of the entire segment. 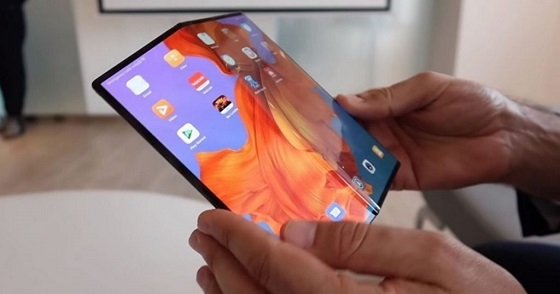 Users are expected to pick up their foldable phones as they do with their smartphones, hundreds of times a day and unfold them on the go, while typing on the screens and then fold them and put them back, risking some scratches. The next 5 years may keep foldable phones a niche product, on account of manufacturing challenges. The price is also a problem, a major turn off for most potential users, especially at $2000+. In the meantime shipments of mobile phones are expected to hit 1.8 billion units in 2019, which is down 0.5% from the year before. High-end phones will continue to drop, but 2020 will actually bring a return to growth of 1.2%. 30 million is actually not that big of a number in the big picture, so I think that we may need more than 5 years to make foldables mainstream.